The Ebony Road Players and its executive director, Edye Evans Hyde, are pushing the community forward with theater, prompting people to listen, really listen, to stories of racism and injustice that they may not have otherwise known. Or wanted to hear. As the late afternoon sun sends last Friday’s final rays of light through the Ebony Road Players headquarters, a modest building on Kalamazoo Avenue with a Black Lives Matter sign perched in its window, Edye Evans Hyde turns toward the camera snapping photos of her. “Don’t want to boast, but I know she’s the toast of Kalamazoo,” Hyde, the executive director of Ebony Road Players, begins to sing, the lyrics made popular by Glenn Miller more than half a century ago easily emanating from her as she flashes that million-watt smile that has lit up stages across the globe. In the five minutes that the photographer is taking her picture in front of a wall emblazoned with the words education, awesome art and social justice, it’s clear: Hyde does not stand still. For Grand Rapids (and the world), this has proven to be an immensely good thing. After all, it has meant she has brought a stunningly wide range of talents in drama and music to the city, as well as to places like Los Angeles, Shanghai and Italy. And it means this polka band performer-turned rock group singer-turned international jazz musician-turned actress has spent years pushing the community forward with music and theater, prompting people to listen, really listen, to stories that they may not have otherwise known. Or wanted to hear. Stories about racism, about identity, about lost and ignored histories. Stories that aren’t told in school, that remind us that we live in a world in which people still are not free. Long known around Grand Rapids as both an exceptionally gifted actress and jazz musician (she was, for example, named the 2011 West Michigan Jazz Society Musician of the Year and has toured the globe singing jazz, blues and pop music for more than three decades), Hyde spearheaded efforts to launch the Ebony Road Players. 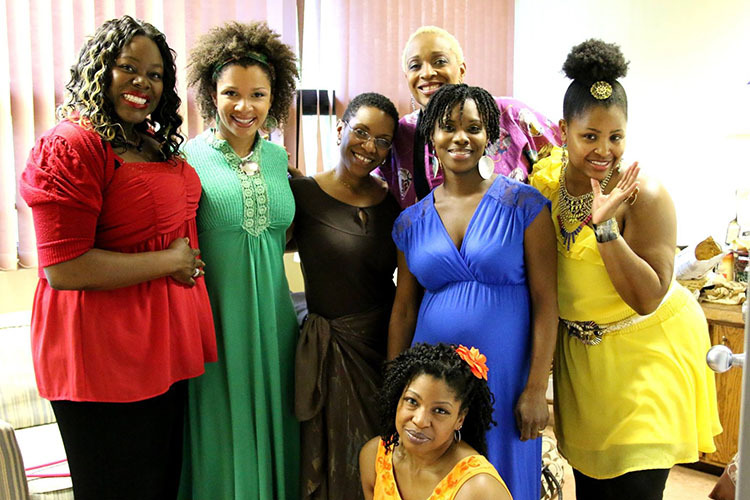 The drama organization became a nonprofit in the spring of 2014, on the day it put on its very first production: a staged reading of Ntozake Shange's “For Colored Girls Who Have Considered Suicide / When the Rainbow is Enuf,” which is about women of color living through oppression in a racist and sexist society. Ebony Road Players. Photo by Christopher John Wilson.Born as a community performing arts and education company that aims to “inspire, educate and engage the cultures of our community with high quality professional performances with a focus on the Black experience,” as the group’s mission statement explains, Ebony Road Players has, and continues to, set the stage for dialogues about race and culture in the city. “For me, what was important doing these theater productions was I found out so much about myself as a black woman, about history, about things I never knew about,” Hyde says, referring to the years she has spent as an actress. “We did a show years ago at Civic Theatre called ‘Having Our Say,’ [which Ebony Road Players also performed], and it’s about these two sisters, the Delany sisters, who lived to be over 100 years old and died in the 1990s. Their whole history of being born in the south, Jim Crow, the Harlem Renaissance -- all those things are wrapped up in their story. In other words: actors, playwrights and everyday citizens get a chance to not only see race through others’ eyes, they also get to share their own stories. The theater has offered playwriting classes for both adults and children, and they’ve presented community dialogues centered around race. 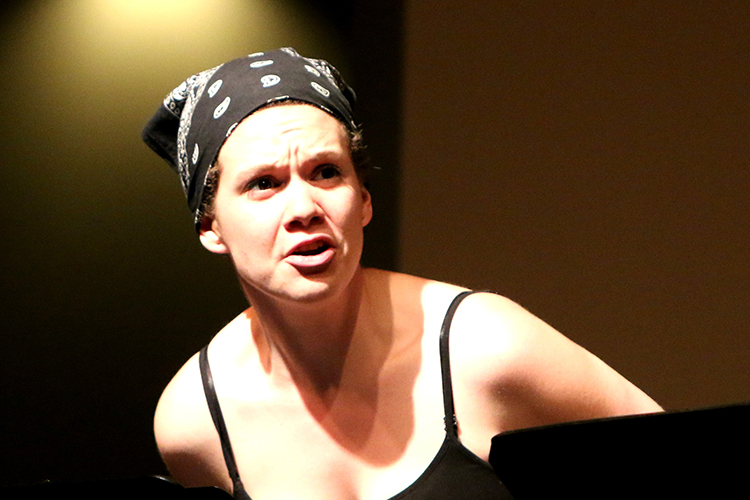 For example, Ebony Road Players board member Breannah Alexander, the director of strategic programs at the Grand Rapids-based Partners for a Racism-Free Community, led a talk about race at Hope College, where Hyde teaches music, as part of the theater group’s efforts. In just the couple years that Ebony Road Players has been in existence, it has performed “For Colored Girls Who Have Considered Suicide / When the Rainbow is Enuf;” “The Story,” about an ambitious black newspaper reporter; “Having Our Say;” “The Meeting,” which depicts a meeting between Malcolm X and Dr. Martin Luther King, Jr.; and two plays -- “Blackbird” and “One Simple Question” -- performed for “Loving Day,” a celebration that occurs annually in Grand Rapids, and throughout the United States, which honors the Loving V. Virginia Supreme Court Case of 1967 that made interracial marriage legal across the country. Plus, two local playwrights, Todd Lewis and Amisha Groce, penned an original play, “Don’t Mind Me,” which was produced as a fundraiser for Grand Rapids’ Family Outreach Center, a mental health facility that aims to provide services to residents who are lower income. The group will perform its next play, “One Simple Question,” an original play by Aquinas College theatre professor Randy Wyatt, on Thursday, Feb. 23 at 7:30pm at the Wege Ballroom in Aquinas. The 35-minute, five-woman ensemble pieces together stories of interracial love and marriage in the U.S., beginning with Richard and Mildred Loving, the couple involved in the Supreme Court case, and including the experiences of West Michigan women, including Hyde, who is married to guitarist Mike Hyde, whom she met in 1976 when his rock band was on the lookout for a new singer. “One Simple Question” is free and open to the public; donations will be accepted. 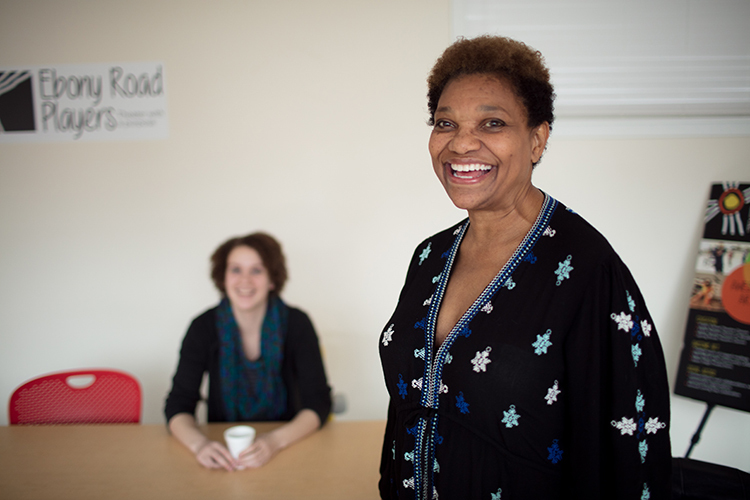 That these productions both address race and offer acting jobs to people of color is a welcome change for dramatists in Grand Rapids, says actress Brooke Bruce. Plus, Bruce says, it’s a relief to be around people who can empathize with your own experiences with race. That actors can talk to one another about these experiences -- and share it with audiences -- is more than cathartic; it’s essential for a city, and a country, dealing with racism and prejudice. In addition to the group’s performances, it offers education programs: right now, Hyde notes they’re working with second graders at Coit Creative Arts Academy, and she’s planning on offering a spring break program similar to the one she led last year at Hope Church. Then, nine children from different backgrounds and surrounding school systems, including Grand Rapids Public Schools, Hope Academy of West Michigan and Forest Hills, spent a week writing a play, “Middle School Chronicles,” which they then performed for their parents. With a successful couple years behind them, the Ebony Road Players are looking to the future, including rallying support from volunteers and donors. The organization has landed support from a number of fellow groups throughout the city, including Harmony Hall, which will host an Ebony Road Players fundraiser/birthday party for Hyde at the restaurant on Sunday, March 5. As for one of the group’s biggest goals for the future? 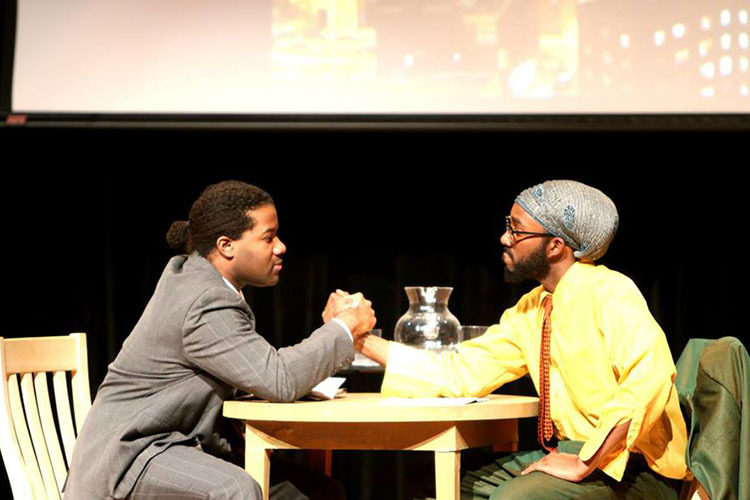 Address misconceptions about black theater. For more information about Ebony Road Players, you can visit the group’s website and Facebook page or email info@ebonyroad.org.